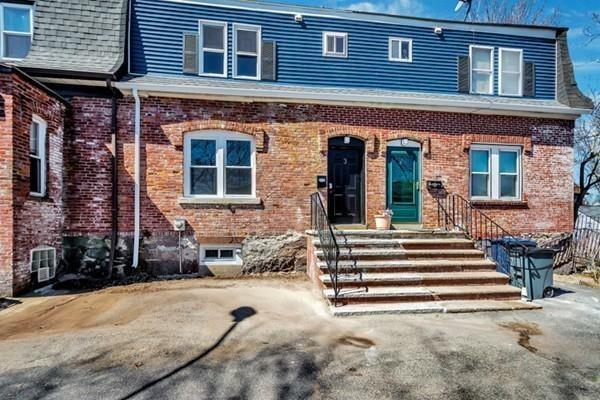 Amazing Fountain Hill location, nestled in between Fort Hill and Dudley square. You couldnât pick a better spot to ride the wave of growth that is surging through Roxbury! Boston character at its finest, This 3 bed 1 1/2 bath Brick Row House is oozing with old world charm. Inside you will immediately be notice the high ceilings and lovely hardwood floors! The spacious living room has plenty of space and finished off with an amazing accent wall. In the kitchen you will find beautiful quartz countertops and a great dining area with natural light pouring through the sliding door. outside the the slider you will find a great deck and a small city backyard. Upstairs you will find 3 bedrooms with an obvious master and a recently remodeled bathroom! New exterior updates include new roof, all new windows, and a recently restored granite staircase. Tons of Bonus features such as NEST thermostat, Smart security system, and blue tooth bathroom speaker! This is an Urban Oasis at its finest!